Missouri Gov. 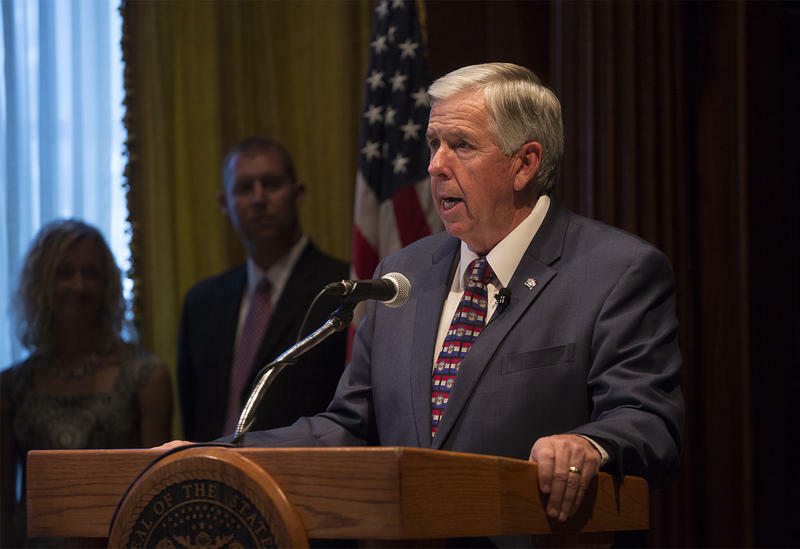 Mike Parson delivers remarks after being sworn in on Friday. Parson has made at least three new hires, though. Aaron Willard has been tabbed as chief of staff. He also served as chief of staff for former House Speaker Rod Jetton, R-Marble Hill, and more recently for former State Sen. Ryan Silvey, R-Kansas City. But perhaps the most significant item on Willard's resume is Missouri state director for Donald Trump's 2016 presidential campaign. Justin Alferman, R-Hermann, has resigned his seat in the Missouri House to become the new governor’s legislative director. Steele Shippy has been brought on board as communications director; he had been serving as deputy chief of staff for Secretary of State Jay Ashcroft. Kelli Jones, who worked as Parson’s communications coordinator when he was lieutenant governor, will likely become press secretary. Parson also said he’s open to calling a special legislative session to address the current vacancy in the lieutenant governor’s office. The state constitution addresses filling vacancies for every statewide office except the one that Parson just left in order to take over as governor. 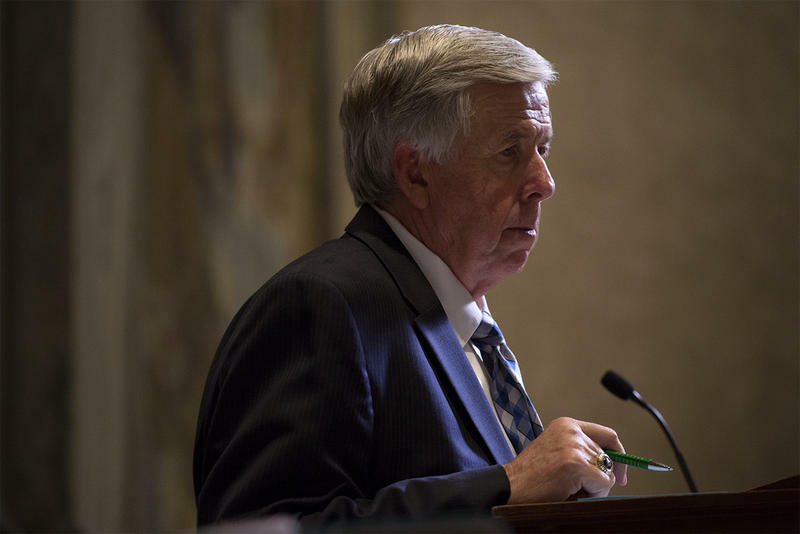 Parson didn’t mention any possible date for a special session. In November 2000, Gov. Roger Wilson appointed Joe Maxwell to fill the then-vacant lieutenant governor’s office. However, Maxwell had been elected to the position and at the time was waiting to be inaugurated the following January. The month prior, Wilson took over as governor after the death of Mel Carnahan. Parson also received a phone call Monday morning from U.S. Agriculture Secretary Sonny Perdue. “He’s offered his services to Missouri, whatever he can do in that arena,” Parson said. 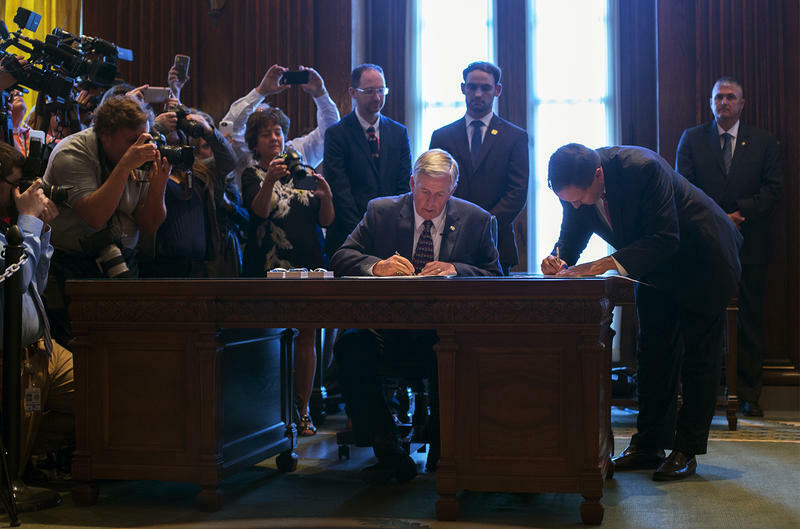 On the latest edition of Politically Speaking, St. Louis Public Radio’s Jason Rosenbaum, Jo Mannies and Rachel Lippmann reflect on Gov. Eric Greitens’ decision to resign from office. The move marks a stunning end to what appeared to be a fast-rising political career that began with presidential ambitions and ended with a wave of scandal.